Hosting an open studio can be a great opportunity to sell your crafts. Opening your studio or home to your friends, family and customers on your mailing list can be a good, inexpensive and time effective way to sell your work. The beauty of hosting an open studio is that it is a low risk, inexpensive selling strategy. If you host an open studio, your selling expenses will be limited to the cost of providing refreshments and any marketing materials you use, and you won't have to carry your entire inventory to another person's home as you would at a home party hosted by someone else. 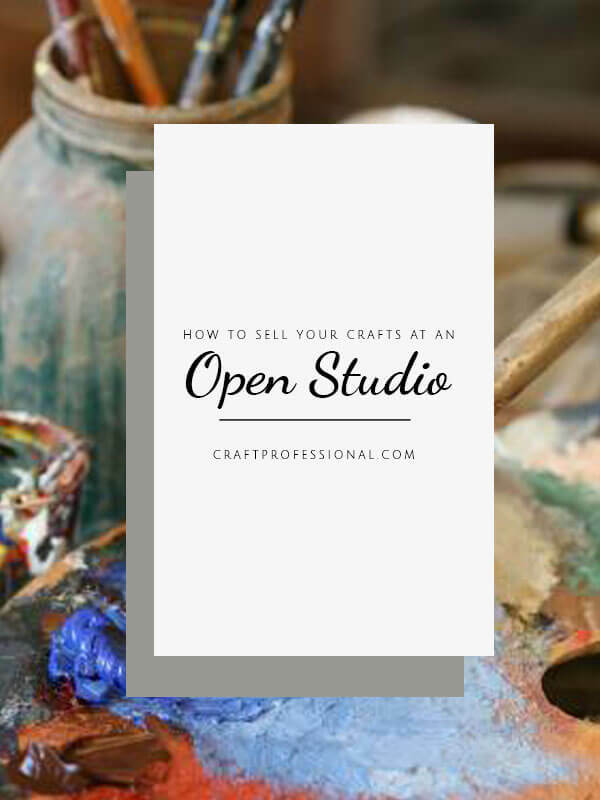 An open studio or open house can be a particularly successful strategy for selling your crafts in November or early December when people are busy buying holiday gifts. Snacks and refreshments will make your open studio feel more special and people will stay longer. Try to match the snacks to the tone of the event (i.e. fancy or relaxed). Some great smelling mulled cider, or something similar, will create a warm welcoming atmosphere at a winter time open studio. A sign-in book near the front door or near the refreshments will allow you to gather names for your mailing list. 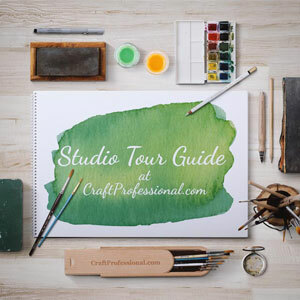 Sending invitations to friends, family and people on your mailing list and social media sites you use can be the most cost effective way to promote your open studio. When you send out invitations, encourage people to bring a friend. I'd recommend asking people to RSVP. One disadvantage of hosting this type of open studio in your own home or studio space is that they can sometimes be poorly attended because people don't feel obliged to attend. If people RSVP, they'll be more likely to attend because they have made that commitment to you. Background music helps to create a mood. Make your music unobtrusive and in line with the tone of your event. Have your marketing materials (business cards etc.) available in a place where guests will easily see them. Close to the refreshments can be a good place. Consider partnering with another artist or professional crafter who has a similar target market but does different work. Perhaps someone who works in a very different media would be a good fit. Hosting an open studio together will give you access to more customers who are not already familiar with your work. Keep in mind that you'll be setting up a cooperative competitive situation if you partner with someone else, so be sure you have a good relationship with anyone you choose to partner with. Be prepared to talk about your work. Set the mood with lighting, but be sure to display your work in a way that shows it off to its best advantage. If you are planning an open studio, consider the scope of your business insurance. I'm not an insurance expert, and this information is not intended to be legal advice, or to take the place of talking to the agent who provides your business insurance. However, in my experience, insurance policies for home based businesses often specify whether customers will be in your home or not. Be sure to remove or secure any hazardous materials or equipment from your studio work space. You may get very busy. Consider having a friend or relative act as an assistant to help out by welcoming guests, preparing snacks or even writing up sales so you can focus on promoting your art. You'll appreciate having the extra help, especially when you get very busy, or when you just need a little break. Get ready for a great studio tour. 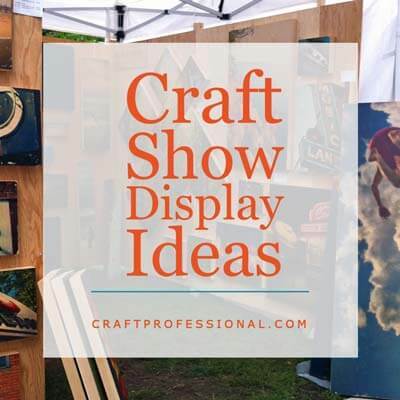 Hundreds of craft display photos. 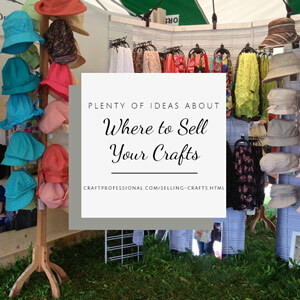 Scads of ideas for selling your crafts.